Vincent Martin is the Owner, Attorney, and Chief Strategist on Immigration Law matters to help solve client problems. Vincent P. Martin heads the Immigration Practice Group at Martin Law. As an immigrant himself, he has a personal appreciation for both the benefits of being a U.S. citizen, as well as, the legal process of acquiring lawful immigration status in the United States. Vincent represents employers, business personnel, and investors with work visas, families seeking to sponsor other family members for permanent resident green card status, students, asylees, and those facing deportation with all areas of immigration law. Vincent has helped countless clients with work visas, family visas, and deportation defense. Prior to forming Martin Law, Vincent was the lead immigration attorney at one of the top 50 largest law firms in Minnesota. Vincent has articles published in Hearsay, Gaming and Leisure Magazine, The Defender, Directions Magazine, The He Moi, among others. He is a sought after source for local news outlets when issues of business and family immigration issues arise, such as being interviewed as an Immigration Expert by Fox Business - John Stossel Show, by the Arizona Republic newspaper, and by the Star Tribune newspaper. Vincent was also selected as a Super Lawyer, Rising Star by Minnesota Law & Politics on multiple occasions. No more than 2.5% of Minnesota lawyers are named to the Rising Stars list. Vincent Martin obtained his Juris Doctorate degree from William Mitchell College of Law in St. Paul, Minnesota, and completed his undergraduate studies at the University of Minnesota-Minneapolis with a Bachelor of Arts degree in Speech-Communication. 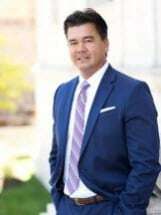 Vincent is licensed to practice law in the State of Minnesota, Eighth Circuit Court of Appeals, U.S. District Court of Minnesota, and Federal Immigration Court. He is a member of the Hennepin County and Minnesota State Bar Associations, participating in the Immigration and Family Law sections. Vincent is a presenter at CLE for Minnesota Society for Criminal Justice and a speaker on Immigration issues at Gustavus Adolphus College. Vincent recently was a presenter at the annual Criminal Justice Institute and educates other lawyers on immigration issues and especially how the field relates to criminal law. Vincent was also a speaker at the Upper Midwest Immigration Conference and a presenter for Africans in Minnesota, and at the Minnesota State Bar Association recently presented "Immigration - Practitioner's Perspective and Padilla." Vincent was also a speaker at the Minnesota Family Law Institute, Minnesota's largest Family Law conference which is attended by 700-800 family law attorneys. Vincent is a member of the American Immigration Lawyers Association (AILA) and volunteers his time with numerous organizations, including the Minnesota Advocates for Human Rights, School District 622 Project Family Connect, and participated in the American Bar Association's Immigration and Naturalization Service Detention Standards Implementation Initiative. Vincent is also a liaison for the AILA MN/Dakotas Chapter and U.S. Customs and Border Protection (CBP) for Minnesota. Vincent has articles published in Hearsay, Gaming and Leisure Magazine, The Defender, and Directions Magazine, among others. He is a sought after source for local news outlets when issues of business and family immigration issues arise. Vincent was also selected as a Super Lawyer, Rising Star by Minnesota Law & Politics on multiple occasions. No more than 2.5% of Minnesota lawyers are named to the Rising Stars list. Vincent also serves as an Expert Witness on immigration law matters advising other attorney on issues involving U.S. immigration law. In addition, Vincent gives presentations to students, such as at the Richfield Career Education Program on Immigration Law, and he has mentored them on careers in the legal profession.